I first heard the name “Yellow Jacket” while doing preliminary research on the Comstock (specifically in the context of the deadly 1869 fire), and fell in love with the sound. 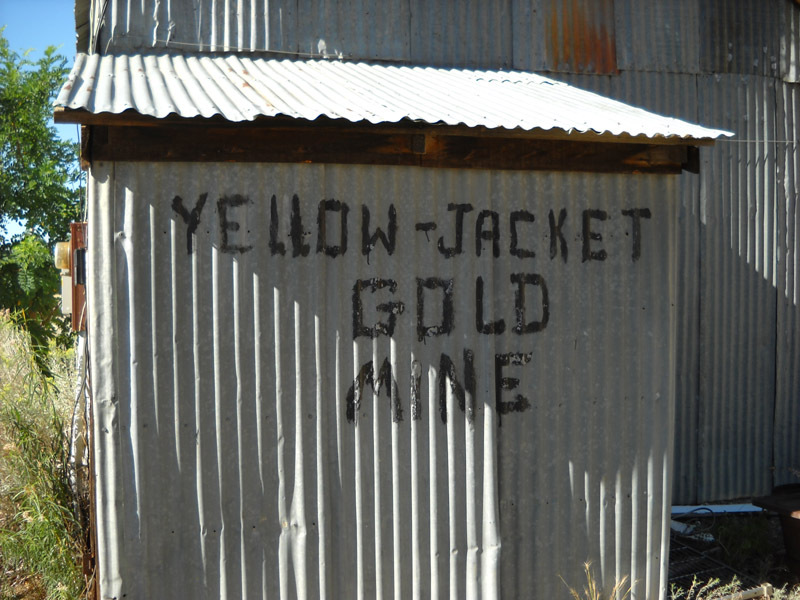 Though I eventually decided to set my novel in 1897, after the mine had closed, I knew I had to use the Yellow Jacket as one of my main settings. One of the things I immediately noticed when I arrived in Gold Hill was how my sense of scale had been distorted. Working from old maps and photographs, I couldn’t entirely comprehend just how crowded the town was. 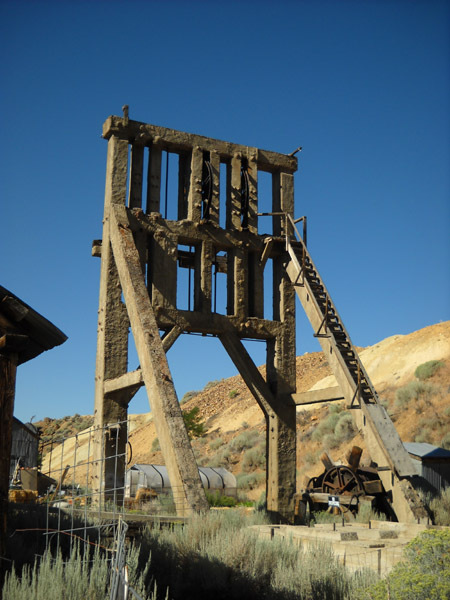 The map scale can show me the Yellow Jacket Mine 150 feet from the Gold Hill Hotel, but I wouldn’t believe it until I was actually in the hotel parking lot, staring at the ruins of the old hoisting works. 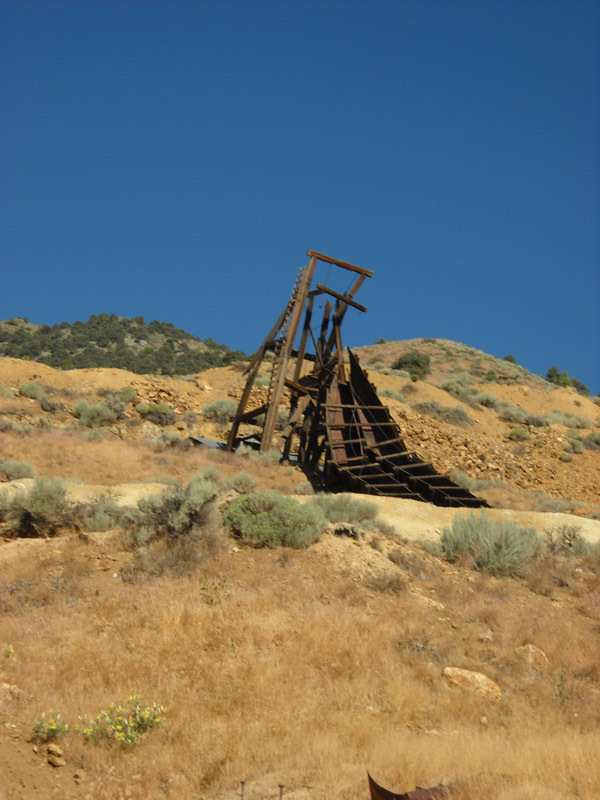 A view of the old mine works just behind The Miner’s Lodge guest house.